- A Facebook user advises Nigeria on evidences to obtain after buying fairly used phones so as not to be roped into crime, if the phone turned out to be stolen. 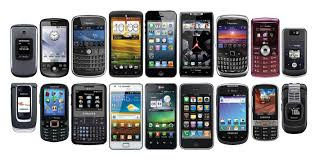 A Facebook user and journalist, Malik Nasir, has warned Nigerians over buying and using fairly/London used phones which are often originally stolen from victims of crimes. Malik wrote: "Any time you buy that fairly or London used phone, you could be buying your way to prison. Stolen phones are now packaged or disguised as London or fairly used phones.